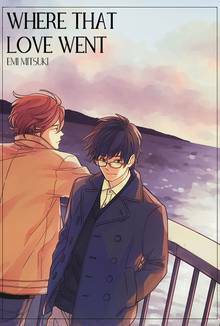 [Free Books] Where That Love Went｜MANGA.CLUB｜Read Free Official Manga Online! The social studies teacher, Izumo has an unrequited feeling towards the handsome physic teacher, Muroto. Izumo had decided to bury his feeling forever, but Muroto suddenly asked Izumo to be his girlfriend?! At the same time, Izumo realized that Tomogashima, a male student he's closed with, also has a special feeling towards Muroto. "Where That Love Went" is a bittersweet love triangle with a lighthouse–where the legend of eternal love exists–as the main stage.